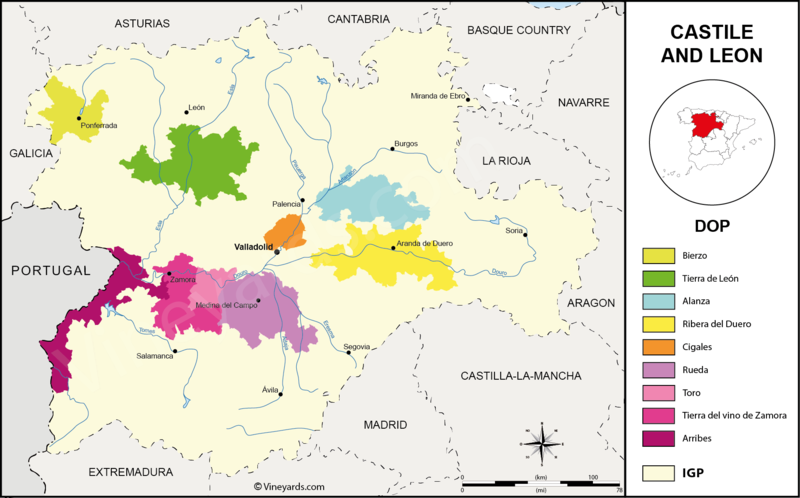 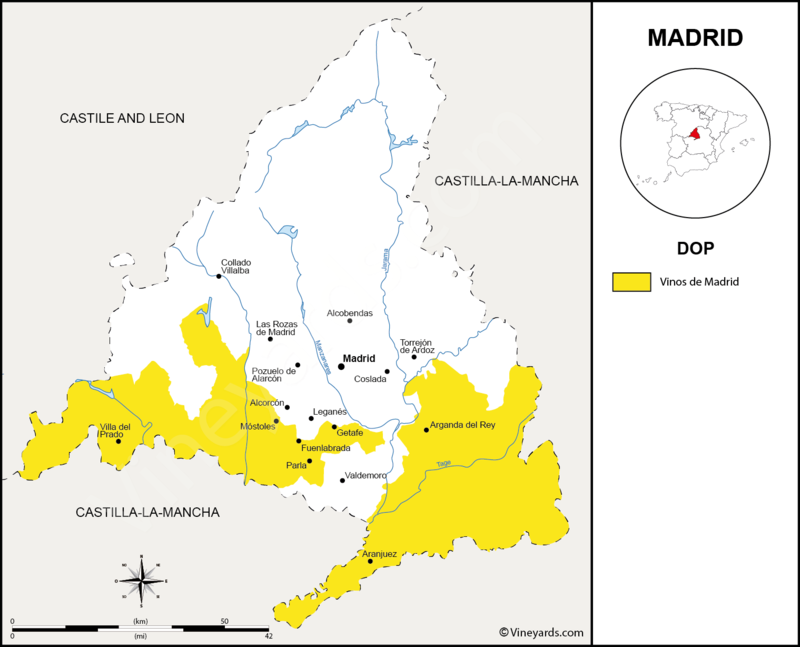 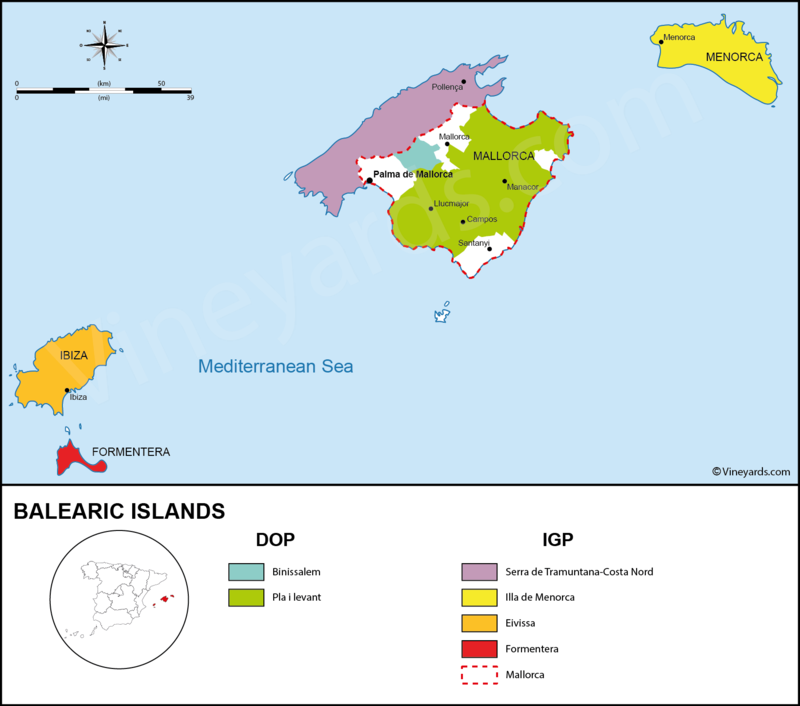 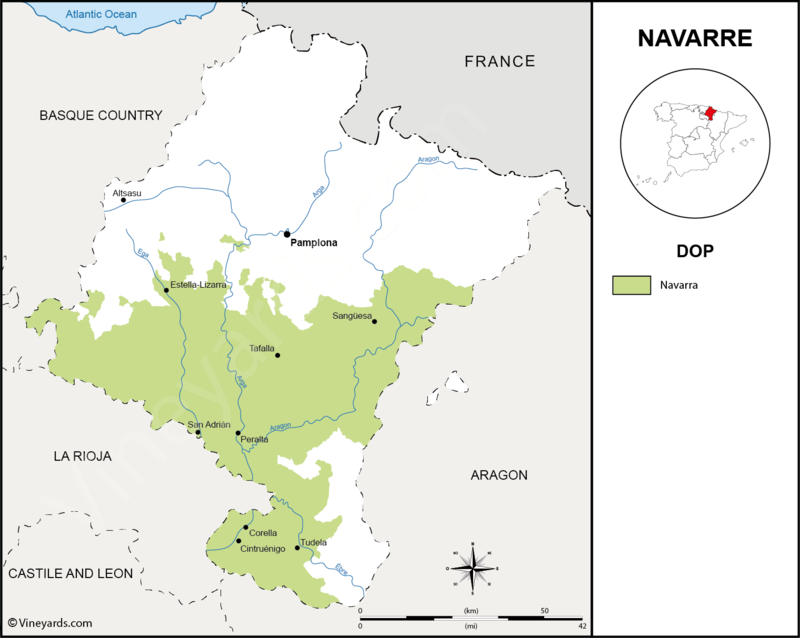 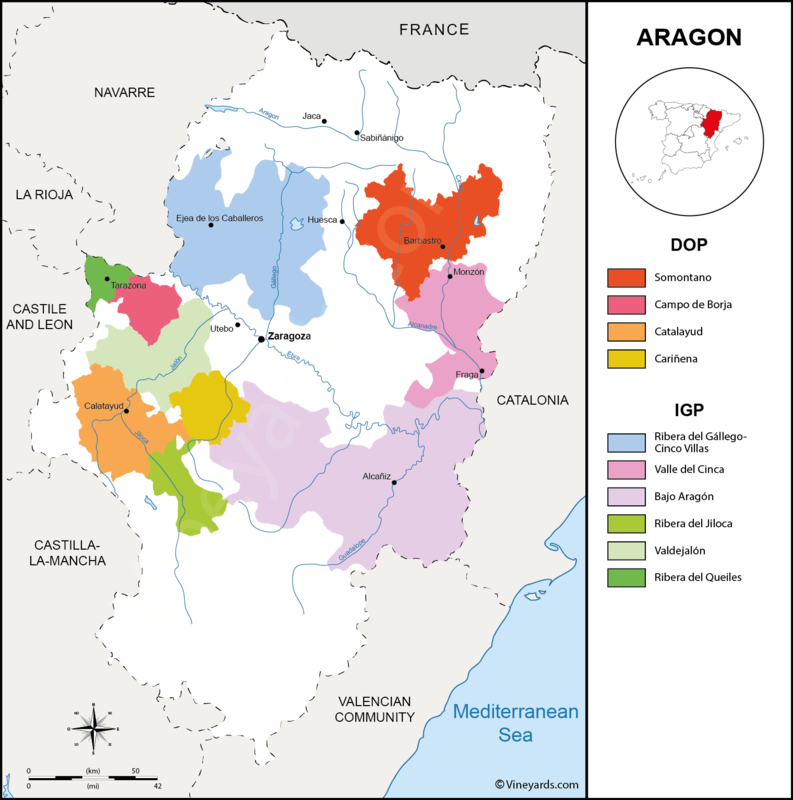 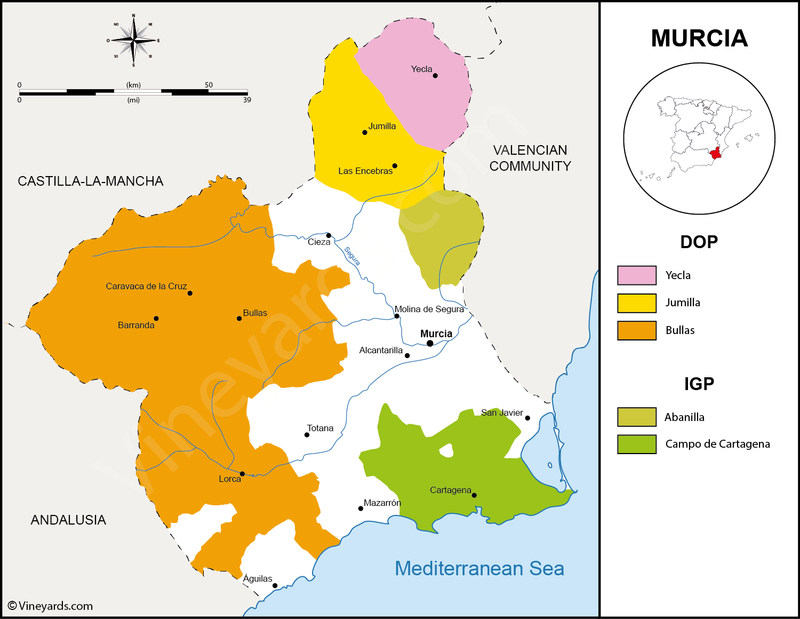 The vineyards of Spain spread accross 967 000 hectares with an appellation system described below. 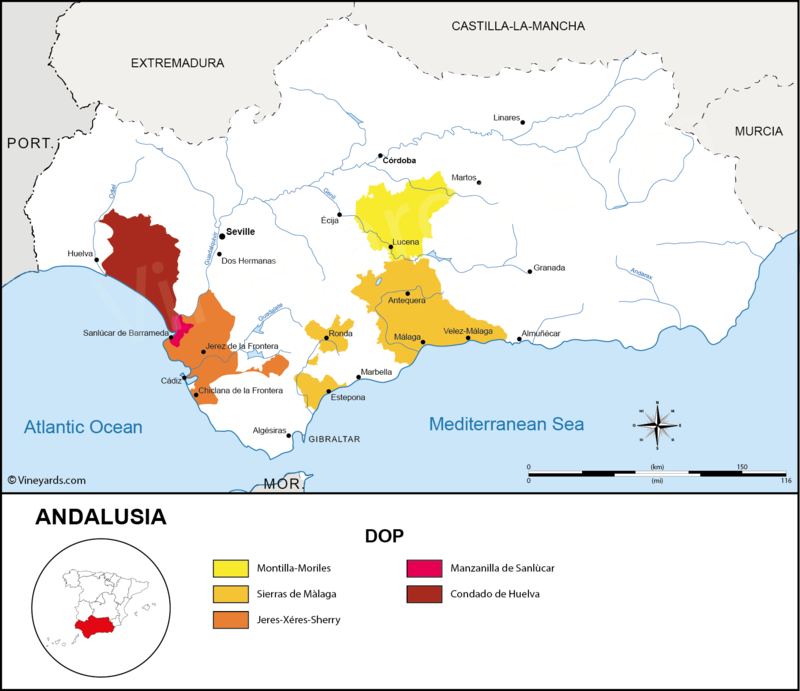 According to OIV (International Organisation of Vine and Wine), Spain was the thrid biggest wine producer in the world in 2017 after Italy and France. 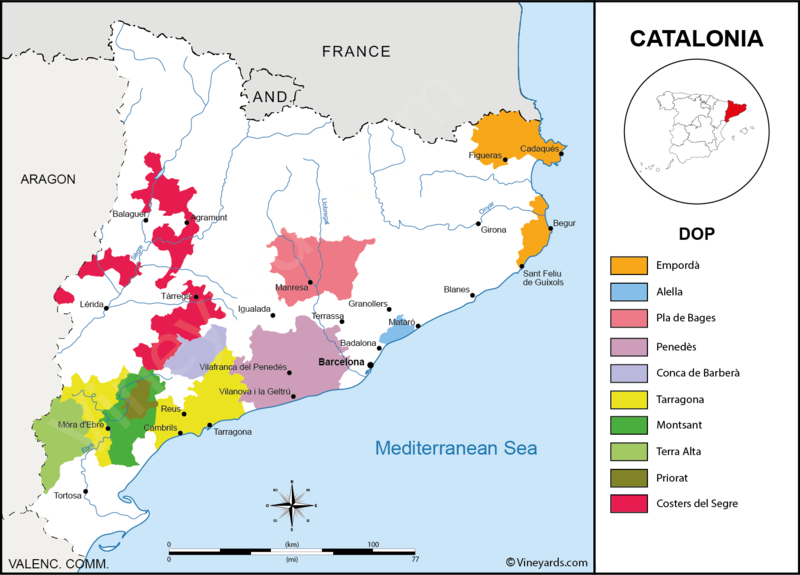 DOCa stands for "Denominación de Origen Calificada" (DOQ in Catalan for "Denominació d'Origen Qualificada"). 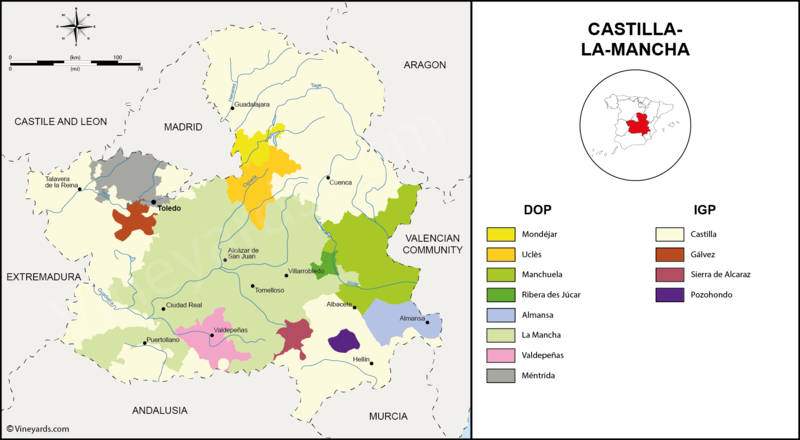 There are two DOCas: Rioja and Priorat. 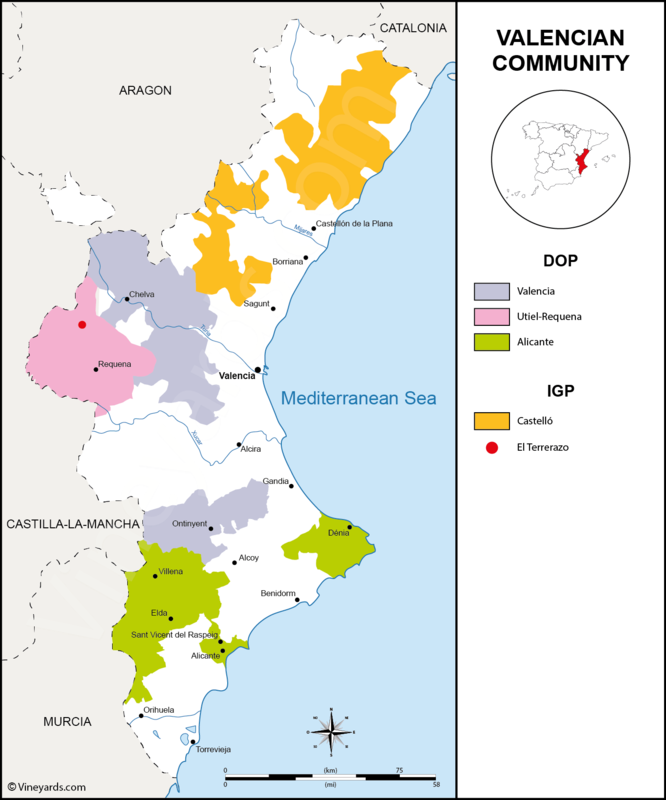 DO stands for "Denominaciones de Origen" ("Denominació d'Origen" in Catalan). 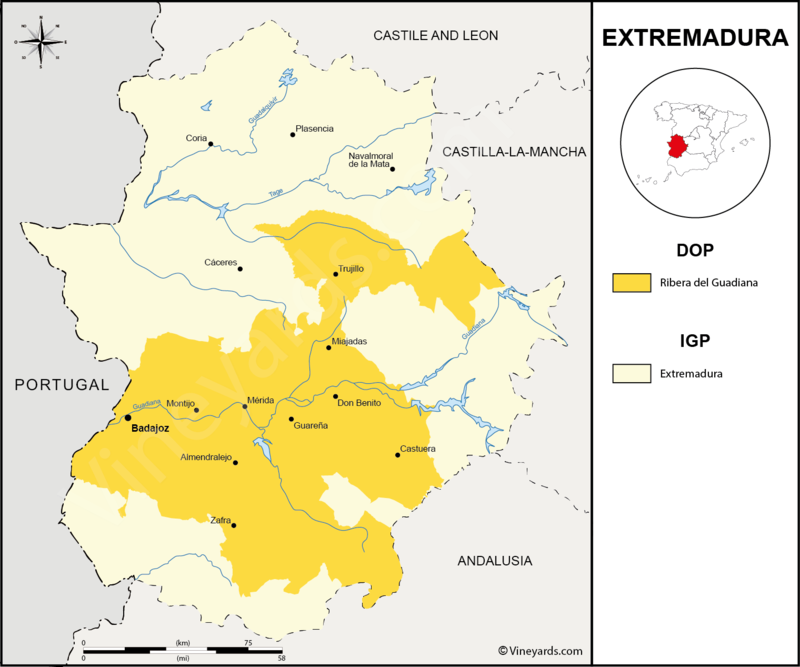 There are 67 DOs (see below). 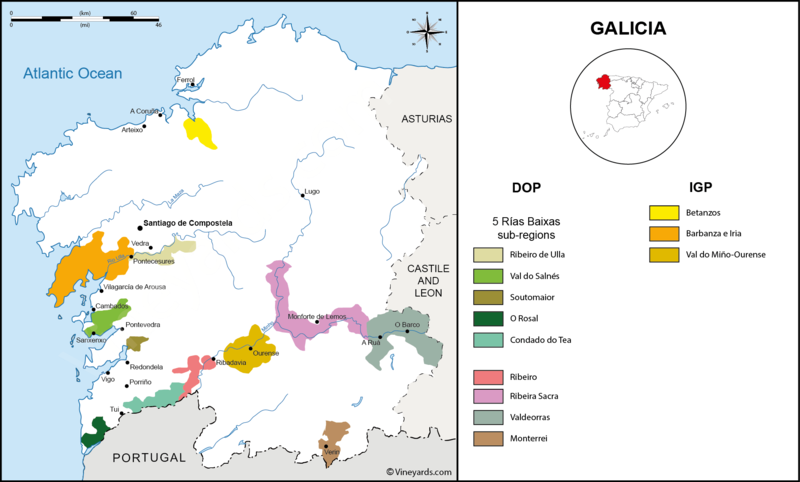 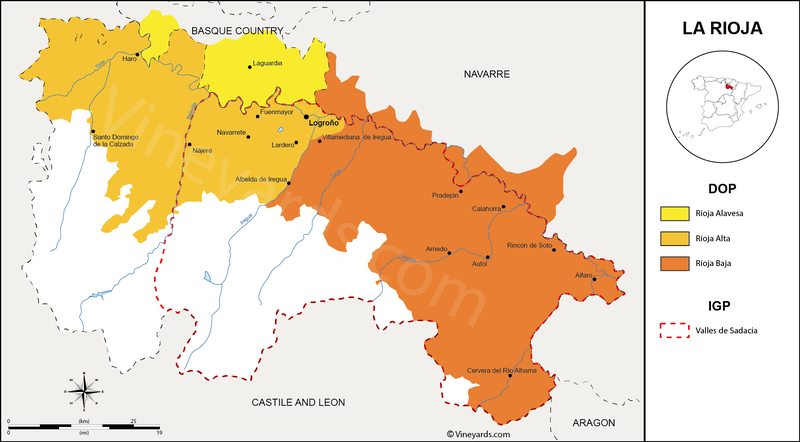 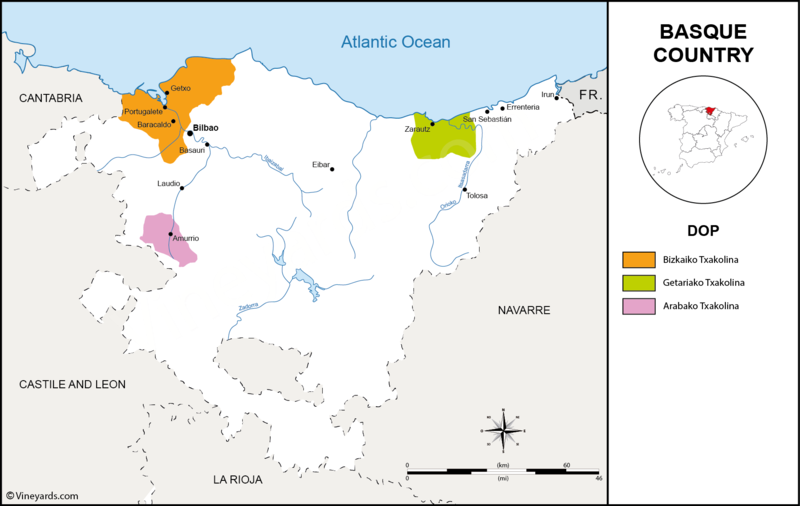 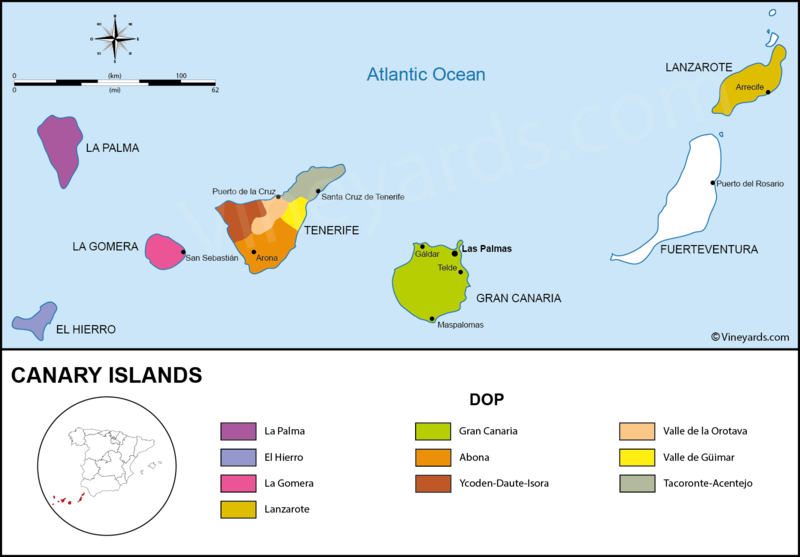 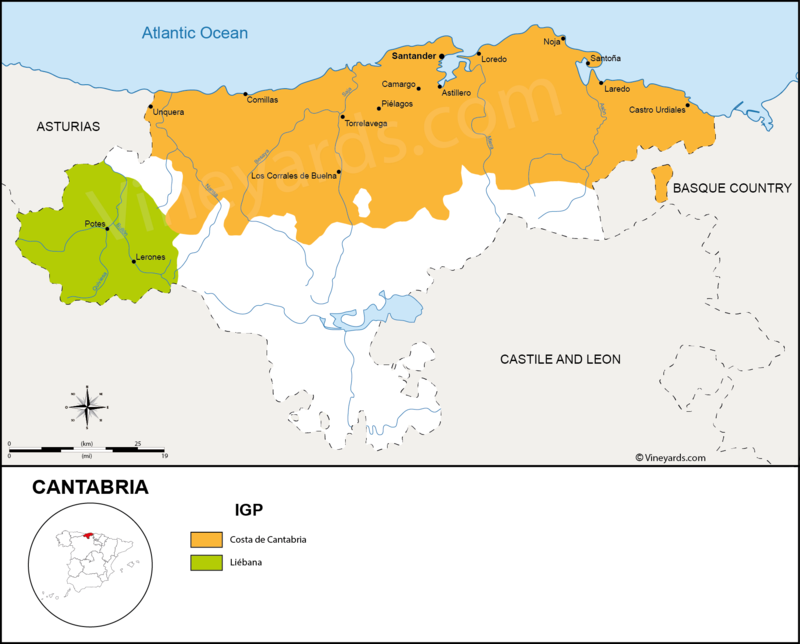 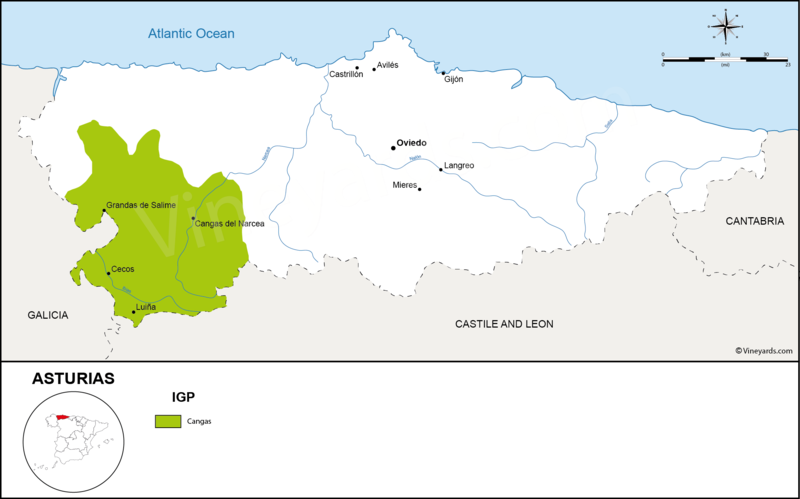 DO de Pago stands for "Denominación de Pago" for single estates with an international reputation based on estate wines. 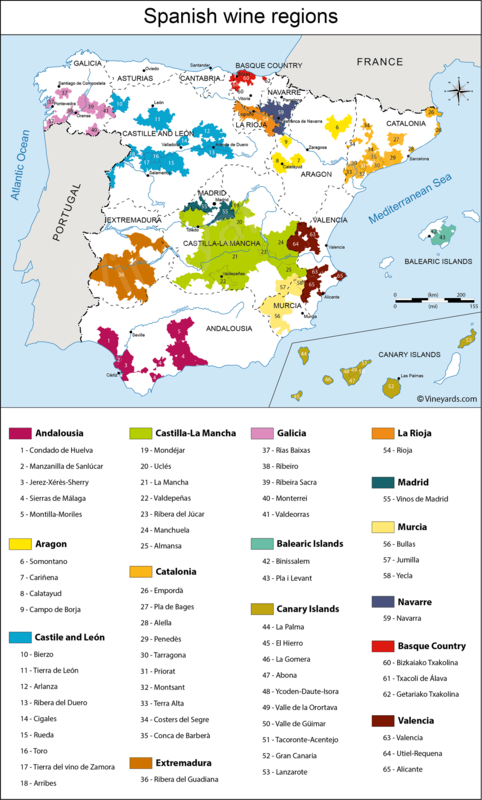 There are 14 Vinos de Pago.